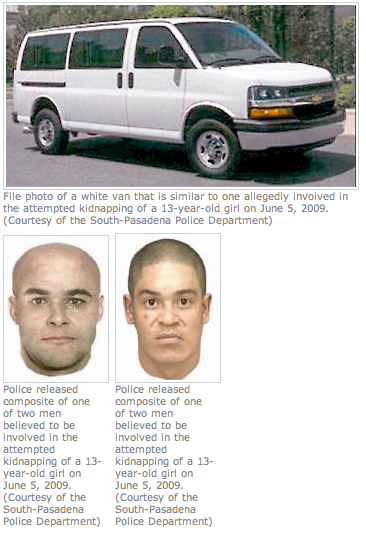 Suspects and similar van in attempted South Pasadena kidnapping. June 8, 2009 – 12:30 p.m.
to be observant of strangers and their surroundings, and to be on alert. northbound on Fair Oaks from Lyndon. hair and a medium complexion. Male Hispanic, 40’ short dark hair, no facial hair, no further description. the Police Department at (626) 403-7297.